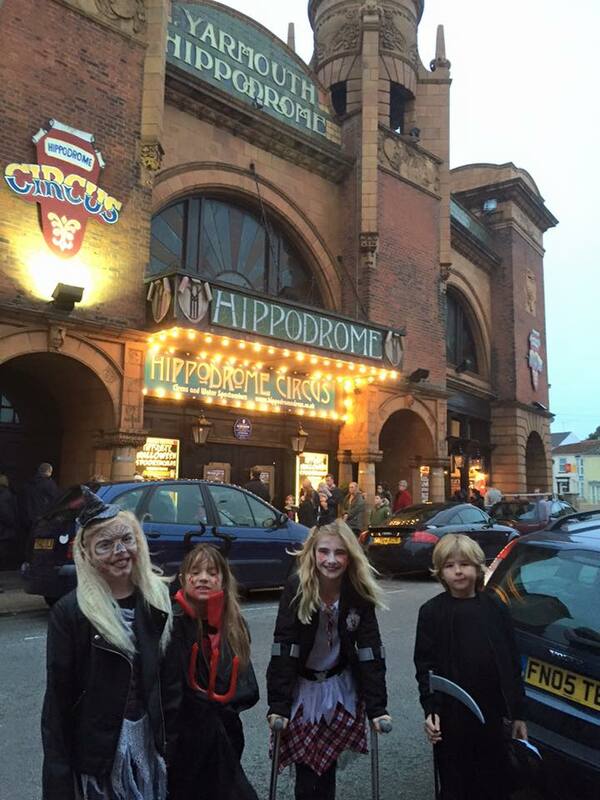 During half term we visited Great Yarmouth Hippodrome for their Spooky Halloween spectacular. The show was only running for a week and this meant that most of the shows were sold out. 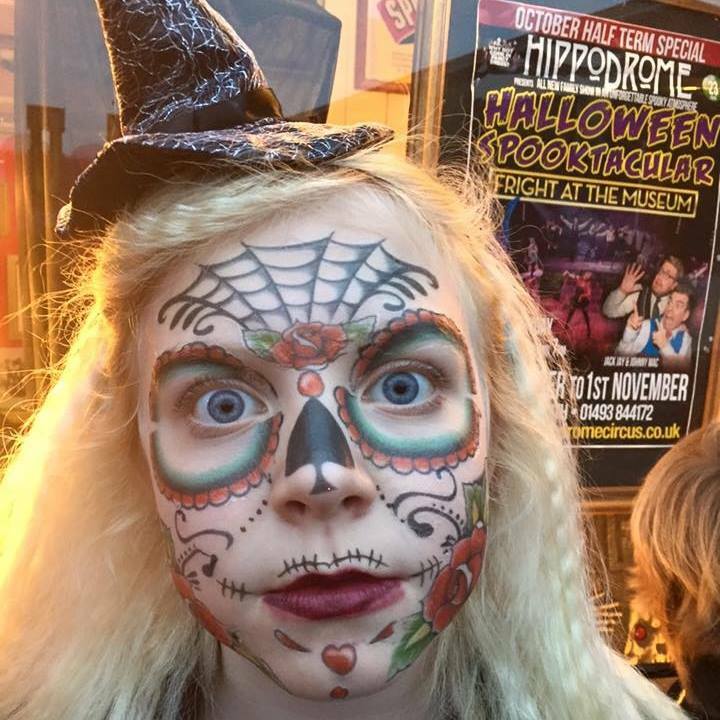 We went with friends and went in Halloween fancy dress – I went as a sugar skull ! We arrived at the circus early and found our seats right near the front. We could see the stage was all set up as a spooky museum there were creepy statues and paintings on stage. Suddenly the music began the lights went out and Dr Plum stormed onto the stage and removed his assistants head !! The story throughout the Circus was that Dr Plum had taken over the museum and was controlling all of the exhibits with a special controller. He had an evil plan to turn anyone that got in his way into paintings using his frightening chair. The comedy duo of Jack Jay and Jonny Mac were there to foil Dr Plums sinister plot. 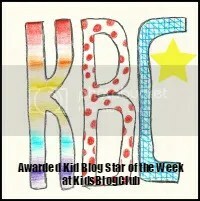 The story is woven around traditional circus acts such as jugglers, acrobats, trapeze and comedy routines. My favourite part was Jonny Mac being on mastermind answering Jacks questions it was very funny. We held our breath as the acrobats balanced on each other and somersaulted over and over again landing on his partners feet. The costumes of the dancers were beautiful my favourite costume was the puppet doll dancer complete with broken strings. The dancers captured the essence of their characters being under the control of Dr Plum very well, their faces were frozen with sinister smiles as they moved across the stage. 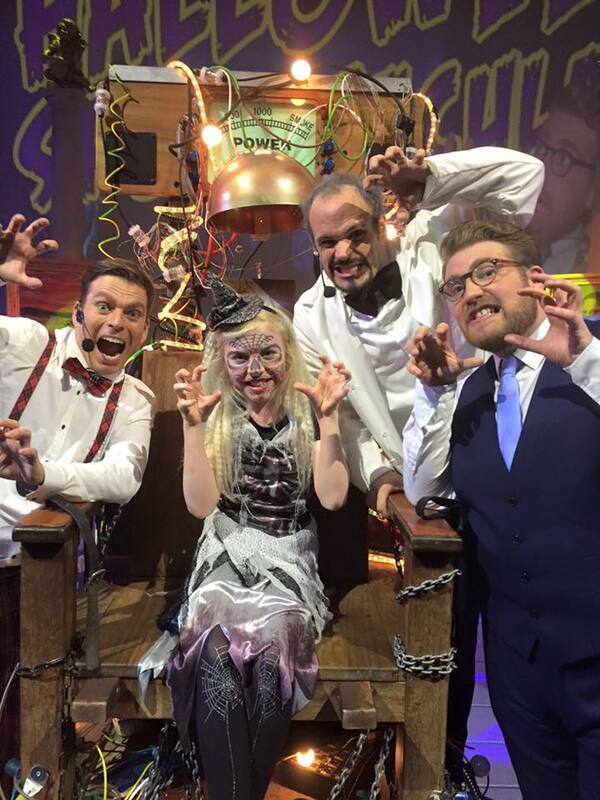 The show lasted for 2 hours and despite the spooky theme it was suitable for all ages. The final dance encouraged the audience to all stand and take part in a hip Halloween dance off! After the show there was an opportunity to sit in Dr Plums evil chair and meet the cast. Although the Halloween show has now finished there are lots of other shows and events taking place at the hippodrome throughout the year. The next show is the Christmas spectacular. 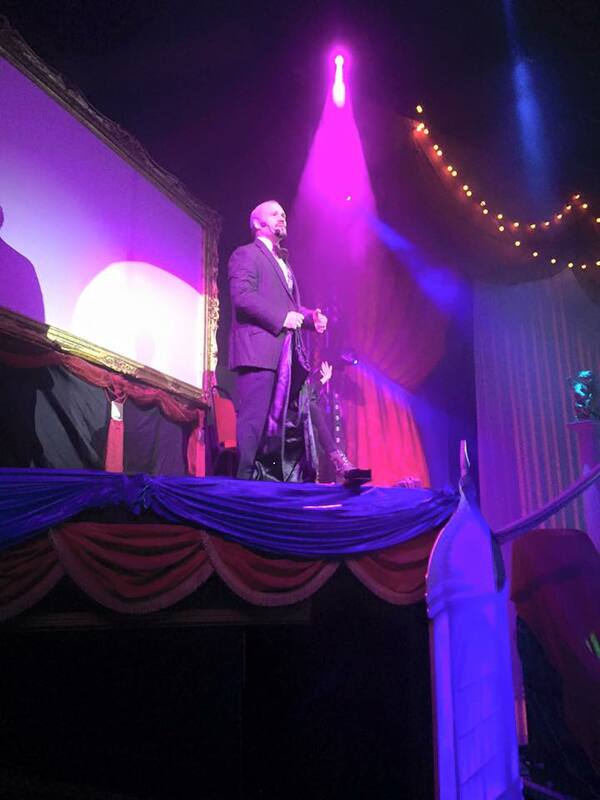 The Hippodrome shows are always entertaining and suitable for the whole family. They are very good value for money. < A Wicked time in the West End !